Every project is unique, but B&B Machine has the experience and the breadth of knowledge to accomplish your goals. B&B Machine is your one-stop-shop, from concepts and feasibility studies to finished products. 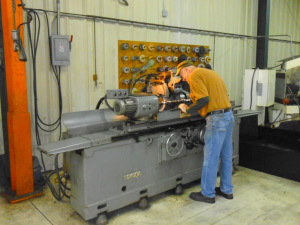 The B&B team can offer a detailed and unbiased look at your current manufacturing process and help reveal those critical areas where the addition of new machinery, tooling or process improvement will yield the most payback for your investment. We can assist in the development of concepts and identify the key engineering issues early in the process. This helps ensure customer requirements are clearly defined and addressed. Our team is able to take your concepts and ideas and create a workable solution. We work with our customers to review existing machines, processes and devices, offering innovative solutions to improve the manufacturing process and overall quality of the customers products. 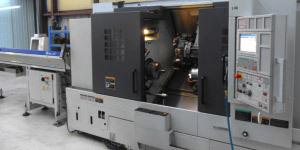 We can provide a new machine or retro fit existing equipment to meet your needs. Our experts can use their experience to suggest changes to tooling materials that may result in longer tooling life, better finish quality and increased accuracy. If documentation is required, we can provide it. Being a manufacturing facility, we understand what is required and needed to effectively communicate the process. We can take your ideas and make them a reality. We understand and maintain the confidentiality of our customers' information and processes. Information shared with B&B is protected by legal agreement which is binding upon our entire staff. 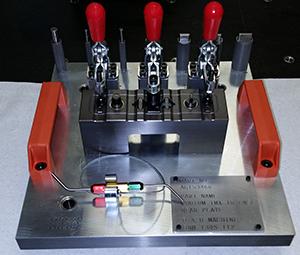 We design and manufacture fixtures and gauges for use in manufacturing processes. We meet with the client to determine exactly what type of fixture or gauge needs to be designed. Generally speaking, a fixture is used to securely hold a part or apparatus for the desired routine in the manufacturing process. A gauge is used to measure a specification. We can design a wide range of gauges — from a sophisticated digital gauge that can send readouts to a computer to a simple "go-no go" gauge. We also can certify and recertify. Our inspection equipment is operated in an environmentally-controlled, clean room. The Zeiss Coordinate Measuring Machine is calibrated to two microns, less than eighty millionths of an inch. We can measure your damaged parts and make a replacement part that meets or exceeds the original specifications. Documentation of the new part can also be provided. 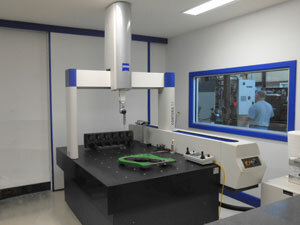 The output from the Zests Machine can be fed into the computer to generate a full CMM (Coordinate Measuring Machine) report. The B&B team is a group of highly skilled craftsmen able to work in a variety of different materials, including, but not limited to, plastics, metals, and rubber. Our attention to detail and modern equipment allows us to efficiently run the close tolerance work. 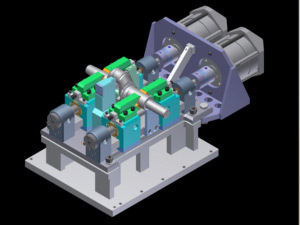 We are equipped and staffed to run your production machining precisely at a competitive price. Our attention to detail ensures we provide the same quality product on small or large runs. Whether it's a simple small part or a complete assembly, we want to prove our worth. We maintain stock items for our customers, providing them with JIT (Just in Time) deliveries. Whether it's scheduled blanket items or stock items intended to be used over a designated time period, we provide top quality with the best availability and most competitive pricing the part allows. Our team is able to combine aesthetics with strength. 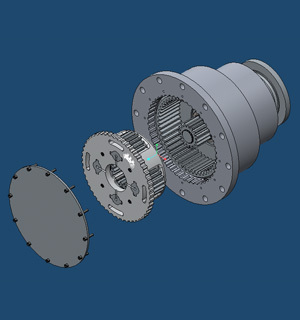 We can obtain the positioning and alignment needed to meet the design requirements. 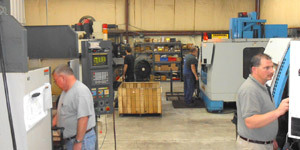 The team has years of experience working with tubes, bending, cutting and welding. 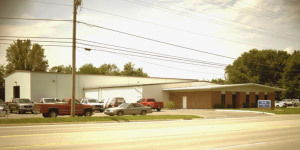 Fabrications include structural steel, sheet metal, racks, frames, shipping containers and weldments. We can make a prototype that is dimensionally accurate and maximize the aesthetics to help you put your best foot forward. Our team is able to help you develop your design and incorporate your improvements.